Innova Pulsar is the official disc of Major League Ultimate. Great for Freestyle and Pre-Round Warm Up. 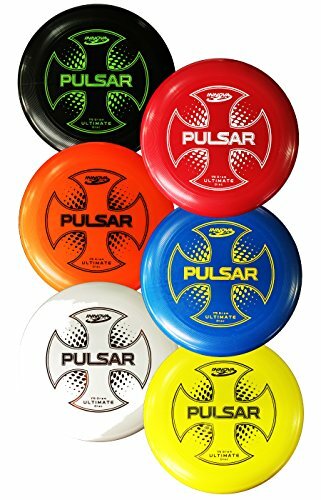 Set Includes 6 Pulsar Discs - Each Ultimate Disc is Standard 175g. The Pulsar is approved for Super Class - Ultimate Players Association Approved. Diameter 27.5 cm. Set Contains 6 Discs - 1 of each color pictured. If you have any questions about this product by Innova, contact us by completing and submitting the form below. If you are looking for a specif part number, please include it with your message.